Over 150,000 unique visitors each month! one with advertising and without advertising. 3,6 Featured Listing Plus – Excellent Value! 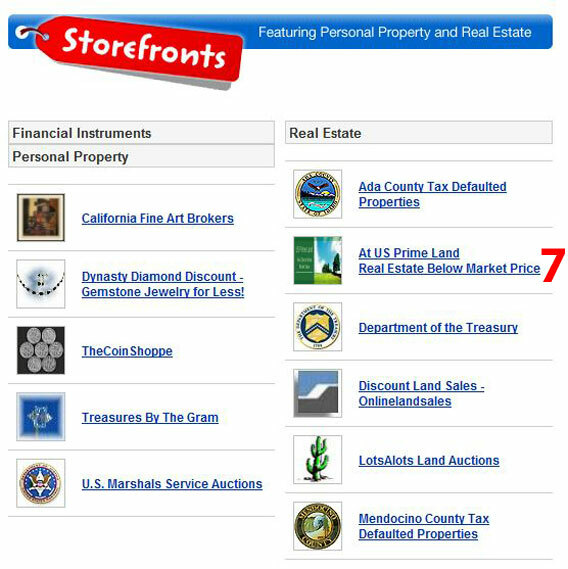 *Unless otherwise noted, all advertising is for the last 7 calendar days of your auction; advertising for auctions listed for less than 7 calendar days cannot be pro-rated. Please allow one business day for advertising implementation. 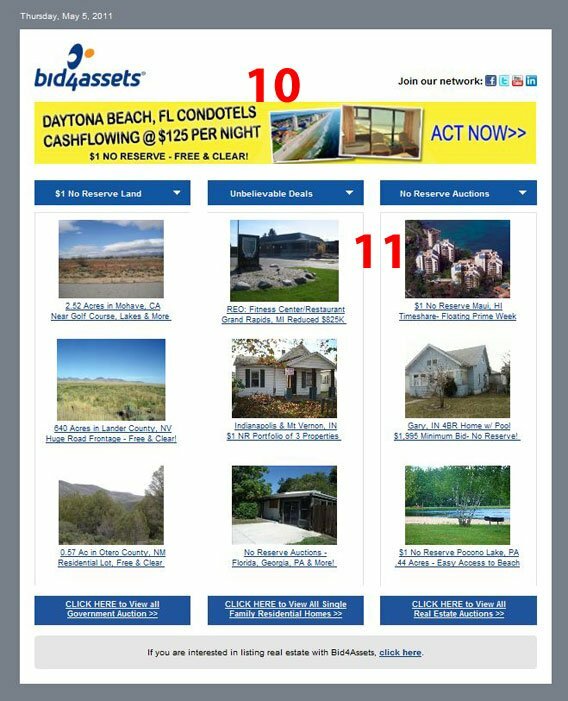 ** Minimum requirements for an auction to be featured on Bid4Assets includes adherence to our Terms of Service, and a clear image of the property for auction; at least 72 DPI and 229x177 pixels. Image format must be in .jpg or .gif. 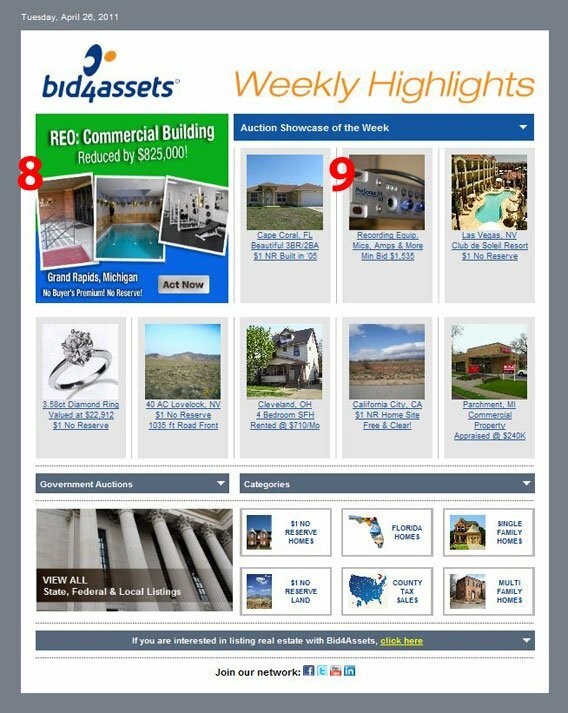 *** Bid4Assets reserves the right to remove any featured auction listing and refund your account at our own discretion. 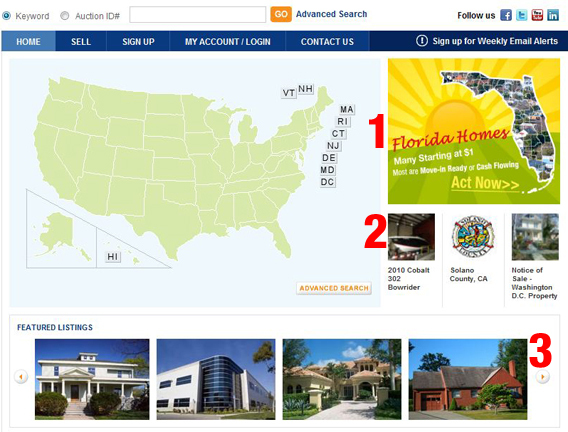 ****Should an auction that you purchased advertising for have a non-performing bidder, Bid4Assets will apply the advertising you purchased to your relisted auction. 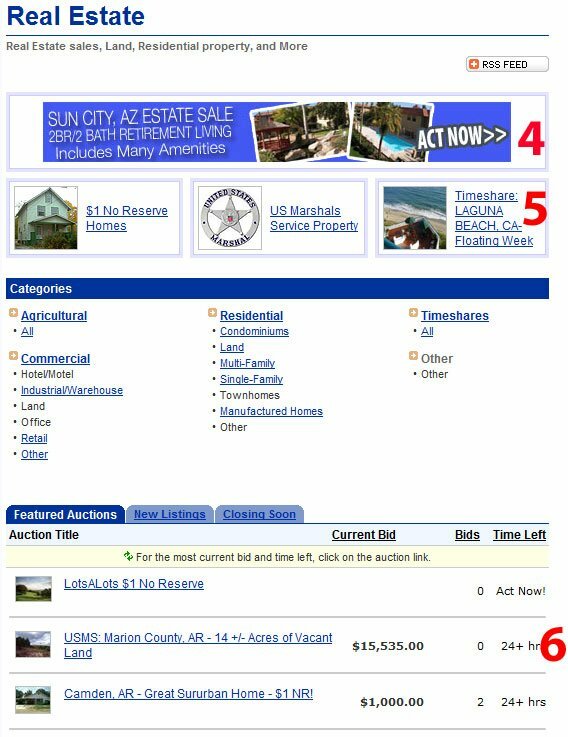 Relisted auction must be for the same property. Advertising will not be applied to a relisted auction in a situation where a refund was given to a buyer.